If you own a DSLR or CSC but don’t have a 50mm prime hidden away in your bag, you’ll struggle to say your kit is complete. While zooms are great for situations when you want to shoot wide one minute and close the next, they’re typically not as fast as primes and don’t always lend themselves to every type of situation. 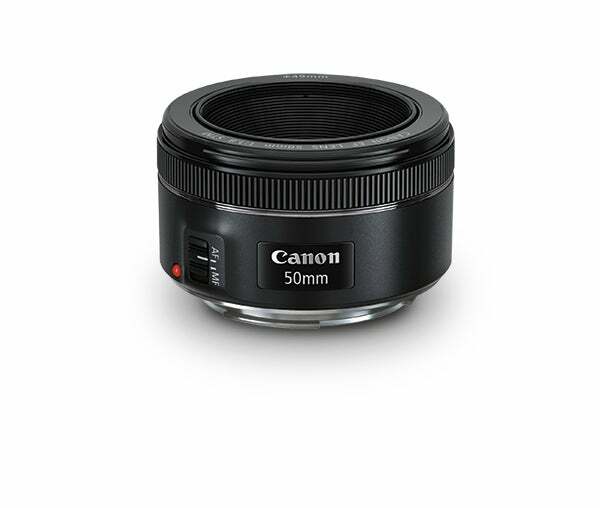 If you’d like to shoot faster in low light, create images with an extremely shallow depth of field or replicate the focal length and central field of view of the human eye, you’ll want to add a 50mm prime to your wishlist. Best of all, they can be picked up cheaply and they’re not just for full-frame users either – attach a 50mm lens to an APS-C DSLR and you’ve got yourself a short and fast telephoto lens that’s ideal for portraiture. As well as looking at your own brand, it’s worth considering third-party alternatives, which can be just as good, if not better. Study the construction carefully. The cheapest examples typically feature a plastic lens mount. 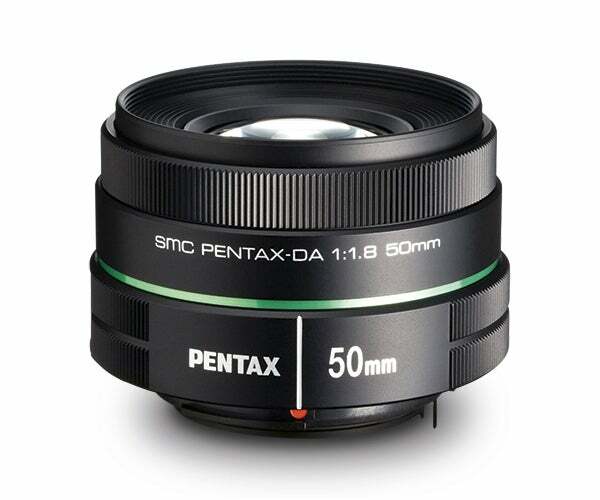 Pentax users looking for an inexpensive 50mm prime lens will be tempted by the SMC DA 50mm f/1.8. Designed for use with Pentax’s APS-C DSLRs that use the manufacturer’s K-mount, the lens offers a 76.5mm equivalent field of view – an ideal focal length for those wishing to shoot portraits and many general subjects where it’s preferable to create a shallow depth of field to ensure a subject stands out from its surroundings. Measuring just 63 x 38.5mm, it’s the smallest 50mm lens in this round-up and features an optical construction that’s comprised of six elements in five groups with seven aperture blades. A closer look at its specification reveals it can focus to within 45cm of a subject, it accepts filters that feature a 52mm thread and it’s an incredibly lightweight lens, too, weighing just 122g on the scales. One way that Pentax has managed to keep the weight down has been to use a plastic mount at the rear, however, this isn’t as strong or as robust as the metal mounts you’ll find on the other four lenses here, so you’ll want to attach it with care. The front element doesn’t rotate when the lens focuses – good news for those who like to use filters, but the lens isn’t entirely silent in use, which is due to the focusing system being screw-driven. It’s not uncommon to hear whirring noises as the lens goes about its business and if you like to shoot an occasional video and don’t want this whirring to ruin your audio we’d recommend switching it to manual focus first. The focus speed is rather hasty and the sharpness at the centre of the frame when it’s used wide open is good, too. 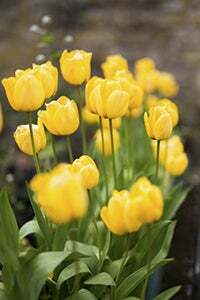 Users can expect a fall-off of illumination at the edges when it’s opened to f/1.8, but vignetting disperses by the time you reach f/4. Other than its plastic mount and the fact it’s not totally silent when it focuses, the SMC DA 50mm f/1.8 is a capable prime lens that’s good for the price. We particularly like the way it can be tucked away in a jacket pocket when you want to travel light, and for Pentax users looking for an inexpensive prime, it’s worth adding to the kit bag. It has its pitfalls, yet it’s a lens that creates an attractive depth of field. The key advantage of this lens compared to older variants is that it features an internal AF motor, which opens up the opportunity to use it with Nikon entry-level DSLRs such as the D3300 and D5500. The fact that the AF motor is a Silent Wave Motor (SWM) is an added bonus and ensures a fast and quiet focusing performance – great news for those wishing to shoot video. Of course, it is the construction of the lens however that will interest most photographers. The inclusion of an aspherical element takes the construction of the lens to seven elements in six groups, and the aperture blades are curved to create almost circular bokeh. It’s a lightweight lens too at 185g on the scales, while at the front it accepts filters with a 58mm thread. Despite being one of the cheapest Nikkor lenses, the 50mm f/1.8G doesn’t scrimp on build quality. It has a metal lens mount that is weather-sealed by a rubber surround covering both the lens and body mounts when the optic is attached to the camera. Sealing the connecting mounts in this way helps to prevent the incursion of moisture and dust. About the only feature lacking is Vibration Reduction, but this is largely unnecessary in a lens of this focal length and with such a large maximum aperture. With its Silent Wave Motor, the first thing that is apparent when using the lens is how quiet it is. 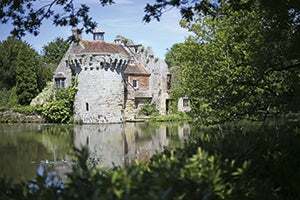 The lens has no difficulty locking onto subjects quickly and it resolves around the same amount of detail as its predecessor, producing better contrast and less chromatic aberration at wider apertures. 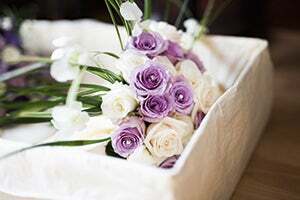 Vignetting is present when the lens is used at its widest aperture, but it’s not severe and can easily be corrected in software. With a street price of around £140, it’s one of Nikon’s cheapest full-frame lenses and regardless of your Nikon DSLR or photographic interests, the 50mm f/1.8G should find a place in most Nikon users’ kit bags, especially given its price and the quality of images it produces. 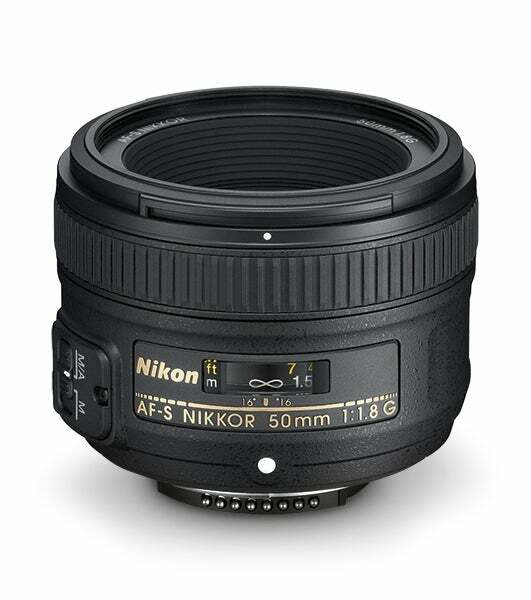 Nikon users will be pushed to find a better inexpensive 50mm prime lens. 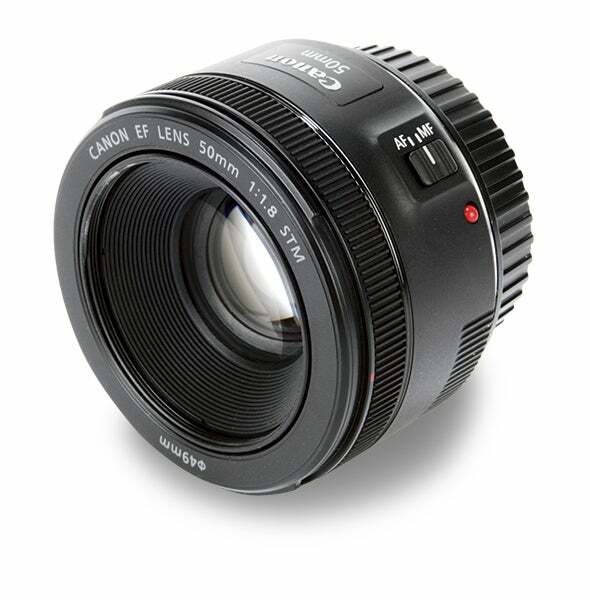 Being an EF lens, the EF 50mm f/1.8 STM is fully compatible with both Canon full-frame DSLRs and those that employ an APS-C sensor. Coupled to the latter and with the 1.6x multiplication factor of an APS-C camera taken into consideration, the EF 50mm f/1.8 STM becomes a highly practical and creative short telephoto lens equivalent to 80mm. Just like previous generations of the lens, it employs a six-elements-in-five-groups arrangement. The main difference in its construction is that it now features seven rounded diaphragm blades, as opposed to the five straight blades used by its predecessor. The standout feature is the designation of STM on the front of the lens denoting that it uses Canon’s Stepper Motor technology. 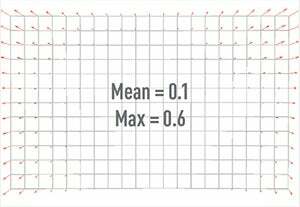 Unlike the more familiar Ultrasonic Motor (USM), a Stepper Motor is better at producing the precise incremental movements which are required by contrast-detection autofocus in live view. This is ideal for creating professional-looking focus transitions when recording video and can also help to eliminate any obtrusive operational noises that can potentially ruin a soundtrack. Compared to previous versions, this lens is quieter when focusing, however, it’s not wholly silent in operation and some low-pitch whirring was traced in indoor movie footage when there wasn’t any ambient noise to cancel it out. Although still predominantly made of plastic, the replacement of a plastic lens mount at the rear for a metal one has improved durability, while the plastic used in the construction of the barrel has a much more pleasing matt finish.When fully opened to f/1.8, images appear perceptibly softer than those taken with the lens stopped down to f/2.8. 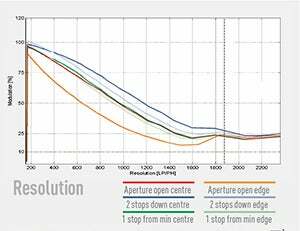 Closing the aperture from f/1.8 to f/2.8 sees vignetting disperse, and by the time you reach f/4 it’s unnoticeable. Our distortion chart did flag evidence of some barrel distortion towards the corners, but you’ll be hard pushed to notice it unless you apply a lens-correction profile and then compare it back and forth with the original. Users who want to find the sweet spot should use the lens between f/8 and f/11. The Sony FE 55mm f/1.8 was one of the first lenses to be announced when the Sony A7 and A7R arrived on the scene in 2014. 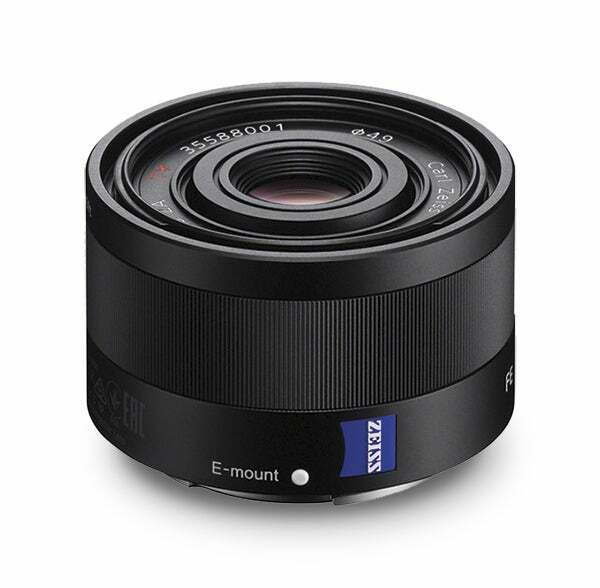 Classified as an FE-series lens, it is intended to be used with Sony’s full-frame E-mount system cameras, but it’s also compatible with Sony APS-C E-mount models. Coupled to a camera that features an APS-C sensor like the A5100 or A6000, it behaves like a short telephoto portrait lens and is equivalent to 82.5mm in film terms. Unlike some of the other lenses in this round-up, the FE 55mm f/1.8 isn’t a lightweight lens. It measures 71mm long so it’s not as compact as you might expect and it weighs 281g on the scales – 120g heavier than the Canon 50mm f/1.8 STM. The construction of the lens is made up of seven elements in five groups with nine aperture blades. The optical design includes three aspherical elements to minimise chromatic aberations – something not usually seen on a 50mm prime. It has an all-metal construction that gives it a solid and robust feel in the hand, which it backs up with seals to keep dust and moisture at bay. The manual focus ring is nice and large and finely grooved, too. Just as you’d expect from a 50mm lens with such a high price tag and Zeiss branding on the side of the barrel, the FE 55mm f/1.8 delivers absolutely sensational results. Sharpness levels are very impressive wide open and things only get better when you stop the lens down to f/4 and f/5.6. Distortion and vignetting are very well handled too, but closing the lens down to f/22 sees diffraction take the edge off sharpness. It’s certainly not a cheap 50mm lens and the high price reflects the hard work Sony’s engineers have put into creating such a stunning optic. Sony full-frame E-mount users searching for one of the best 50mm lenses to pair with their high resolution cameras will want to add this prime to their wish list – it’s quite simply sublime. he sharpness the FE 55mm f/1.8 resovles wide open is very impressive indeed. When you take the Sigma 50mm f/1.4 DG HSM | A out of the box, the first thing you notice is its weight. As it’s a hefty 815g, it is no surprise to find that it is constructed from 13 elements in eight groups. This is an extremely complex arrangement for a 50mm f/1.4 lens. Most other similar optics have six to eight elements, but Sigma clearly has a new-found confidence to manufacture this unique design. 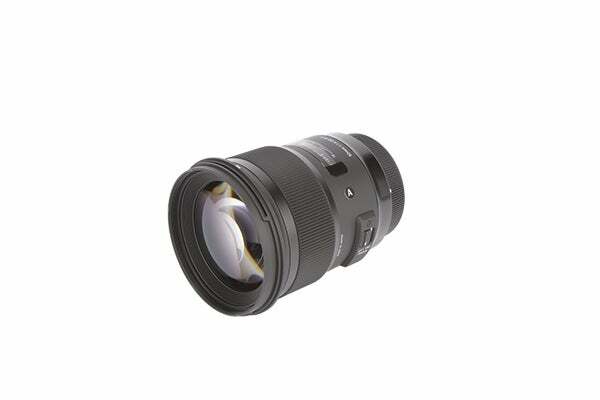 The design of this lens is similar to the 18-35mm f/1.8 zoom lens that we tested last year. It has a large ribbed rubber focus ring that is comfortable to use, even with gloves on. Beneath a small window sits the focus distance scale, while the side of the lens includes an AF/MF switch. This lens is not optically stabilised, which should be a consideration if you have difficulty holding heavier lenses steady. Overall, the build of the Sigma 50mm DC HSM f/1.4 lens is superb, if a little heavy, and it is amazing how a simple redesign of the body can elevate a brand to premium status, without an inflated price tag. One of the first things you’ll notice when using the lens is how quiet it is. The Hyper Sonic Motor (HSM) is fast and quiet, and it helps that just a quarter turn of the focus ring moves the lens from its 40cm minimum focus distance to infinity. Once focused, the lens holds firm and doesn’t slip, requiring a quite definite turn to shift it from position. With a 40cm minimum focus distance, the Sigma 50mm f/1.4 lens provides a magnification of 1:5.6, which is respectable for a lens of this type; just don’t expect to take too many close-up images with it. When shooting at f/1.4, the light passing through the lens is obviously unobstructed by the lens aperture. But with nine aperture blades producing an almost perfect circle, even stopping the lens down to f/2.8 and smaller produces smooth out-of-focus backgrounds. Put the Sigma 50mm f/1.4 DG HSM | A on a camera with an APS-C-sized sensor and it becomes a 75mm f/1.4 lens, which is great for portraiture. At f/1.4, the lens obviously isn’t at its sharpest, but for portraits this can be quite flattering, with enough sharp detail in the subject’s eyes, but with the shallow depth of field and the lens not being at its sharpest giving a slightly more flattering look to skin. With a street price of around £669, the Sigma 50mm f/1.4 DG HSM | A isn’t cheap, with most comparable lenses costing around £500. However, the reason for the extra cost is quite clear: this lens features a unique design that breaks away from the traditional configuration of a 50mm f/1.4 lens – a bold move that pays off in terms of the quality of its results. 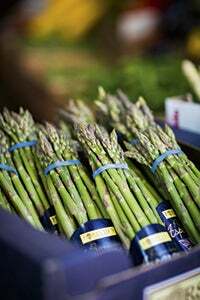 Even though the lens isn’t all it’s sharpest at f/1.4, it can still resolve excellent detail wide open. The lens performs at its best at f/5.6-8. It also manages to resolve quite a staggering amount of detail in images at the corners of the frame. The distortion graph shows slight pincushion distortion, whereas most 50mm lenses suffer from barrel distortion. However, it is minimal.